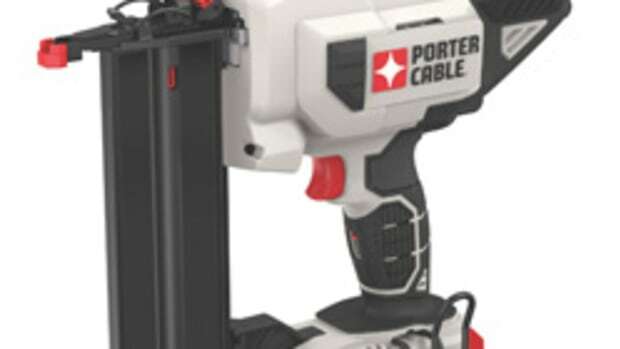 Porter-Cable has introduced its new 18-volt two-speed close-quarters drill, model PCC520B, for working in confined spaces. 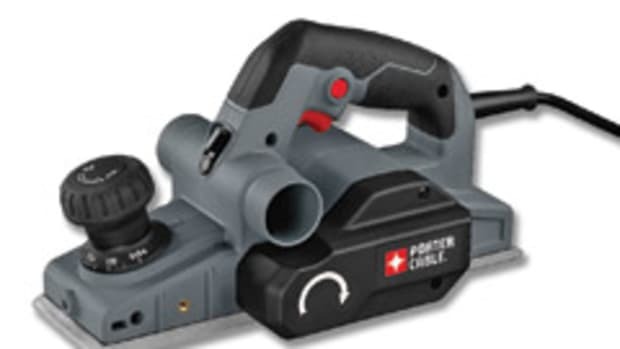 Jim Stewart, the company’s cordless product manager, says the tool is particularly useful for cabinet installers. “The specific goal with this drill was to maintain a compact size, particularly running from the back of the head to the chuck. We also wanted to launch a product that was as versatile as possible for industry professionals,” Stewart says. 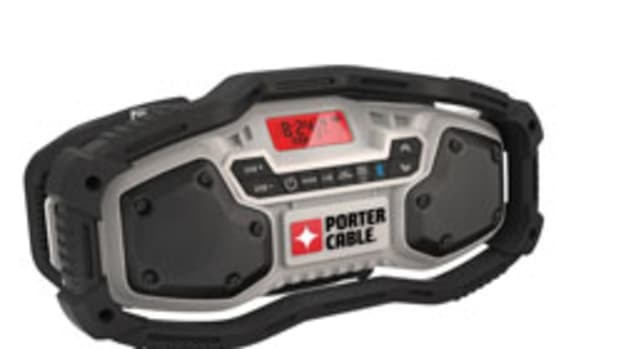 With a typical 18-volt drill measuring about 9” from the head to the chuck, the Porter-Cable drill measures about 5-1/2”, according to Stewart. 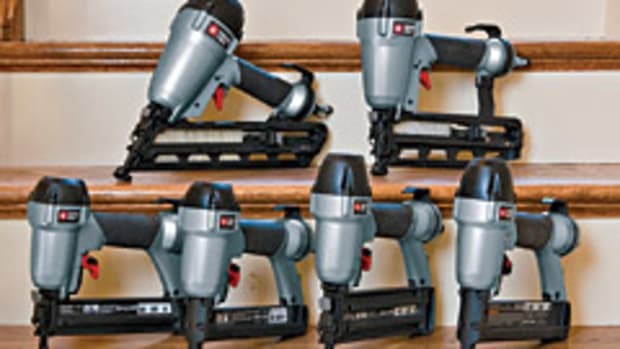 This drill shouldn’t be confused with a right-angle drill, adds Stewart. 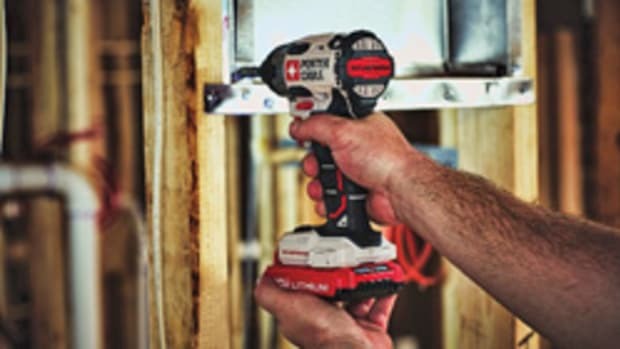 It’s more of a multipurpose tool, capable of typical drilling and fastening applications such as attaching drawer slides, adjusting hinges and drilling pilot holes. 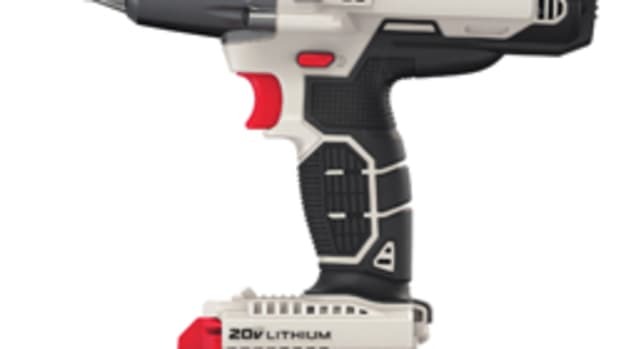 The drill is powered by a 1.3-amp hour battery and is compatible with all Porter-Cable 18-volt lithium-ion and nickel-cadmium batteries, according to the company. 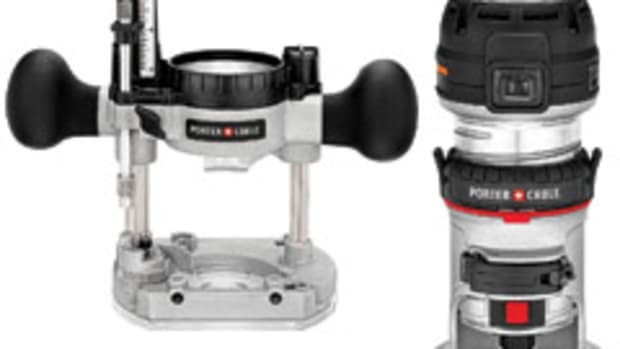 It features two speed settings that deliver up to 350 rpm on low and up to 1,400 rpm on high. 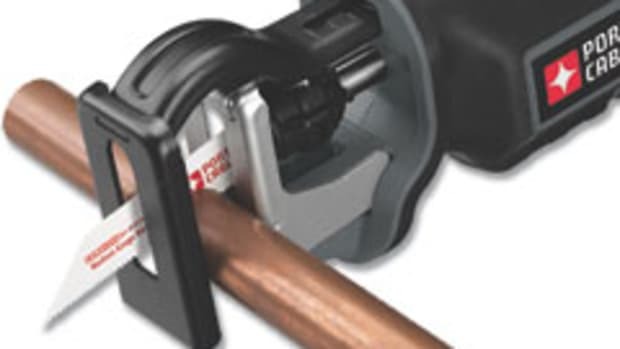 The drill also features a single sleeve 3/8” chuck for one-hand operation. It weighs about 3 lbs. with the battery installed and has an LED worklight positioned above the trigger. 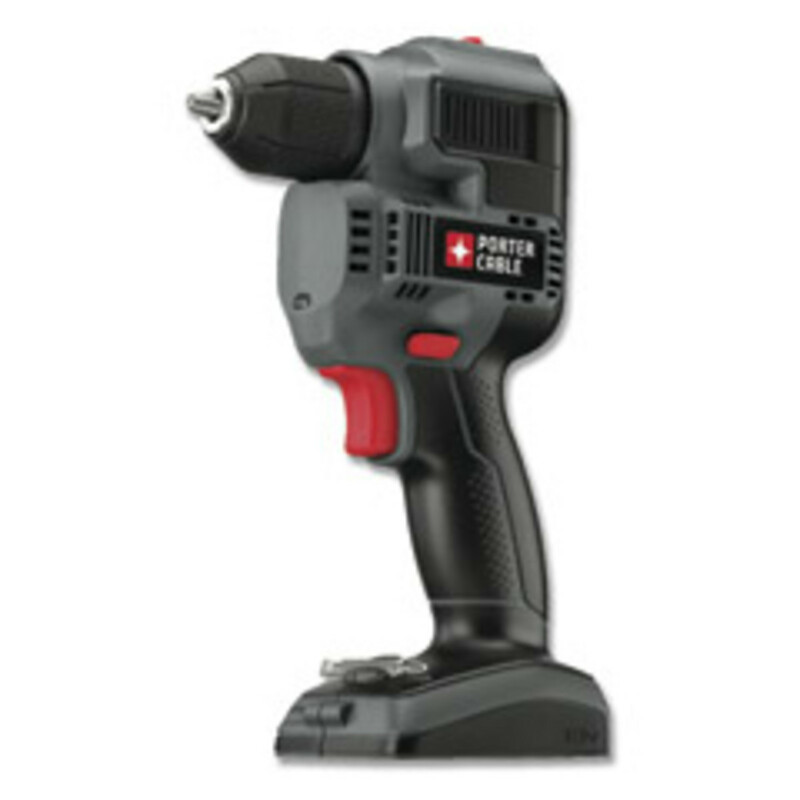 The drill, without the battery and charger, has a retail price of $79.99.